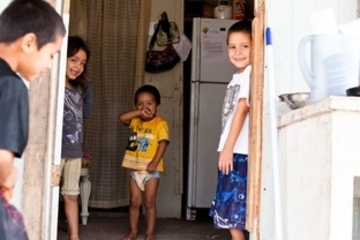 Colonias are impoverished communities along the US-Mexico border created by predatory developers. The population is all Mexican immigrants who are either unemployed or rely on seasonal work for their income. A limited supply of adequate, affordable housing in cities and rural areas along the Texas- Mexico border, coupled with the rising need for such housing has contributed to the development of new colonias and the expansion of existing ones. People with low-incomes often buy the lots through a contract for deed, a property financing method whereby developers typically offer a low down payment and low monthly payments but no title to the property until the final payment is made. Houses in colonias are generally constructed in phases by their owners and may lack electricity, plumbing and other basic amenities. Colonia residents build homes as they can afford materials  One of the major issues recently has been a lack of water availability and the water that residents do have is often polluted and contaminated due to extremely limited wastewater treatment. This has led to an increase in the prevalence of many diseases in these communities and with no health insurance, the majority of residents in these colonias are not treated. Developers are not compelled to make any improvements to these sites and when improvements are made by residents, they freely take claim to them. Developers have also reclaimed property if residents fell behind on payments and are not required to make improvements to infrastructure even when promised. Financing is often cited as a major barrier. Regional officials have pushed for years to connect some of these colonias to nearby city water and wastewater systems but local officials have continually resisted. While the cost would be very high ($35 million for some colonias and towns), there is some funding available . In 1989, the 71st Legislature created EDAP to finance construction of basic water and wastewater services to correct immediate public health and safety concerns, and established Model Subdivision Rules (MSR) empowering city and county governments to prevent development of additional sub-standard subdivisions. 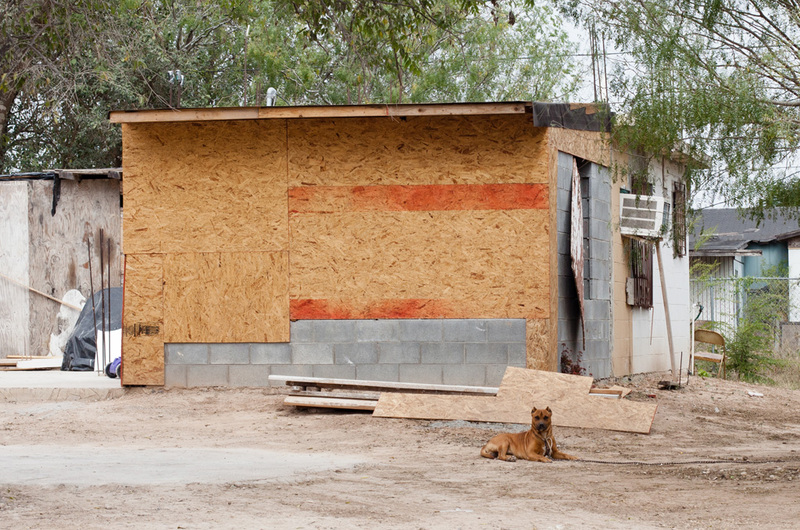 Project Details One resident pays $187 a month to live in a dirt-floored shack that is part broken-down motor home, part splintered plywood shed. At last count, nearly 45,000 people lived in the 350 Texas colonias classified by the state as at the “highest health risk,” meaning residents of these often unincorporated subdivisions have no running water, no wastewater treatment, no paved roads or solid waste disposal (www.texastribune.org). Sewage treatment plants, like the one in La Villa (another colonia), are overwhelmed and underpowered and greatly in need of infrastructure improvements however the costs are too great. In La Villa, warnings from the Texas Commission on Environmental Quality (TCEQ) prompted the town to take out a loan to make the needed repairs which put the town in debt by $140,000 for 10 years and the only way to pay was to increase water rates. Water rates per student increased from $6 to $14 which led to a rebellion in 2012. The town has estimated further upgrades and repairs to cost about $7 million, and this is just one town (https://www.texastribune.org/2014/01/10/border-towns-struggle-protect-water-infrastructure/). Why? Explain briefly. While there have been some improvements, many colonias continue to lack access to clean water and infrastructure for basic needs. When it is made available, it is too costly to hook up to and these communities aren't provided with the resources needed to make use of the infrastructure. "Texas Colonias: A Thumbnail Sketch of Conditions, Issues, Challenges and Opportunities"